Trees around the former Homebase site have been netted. Picture by Jon Mullis. SEARS Retail Park has been criticised for putting up netting to stop birds from nesting in trees around its car parks. Bosses at the retail park in Shirley say the move to cover five trees in green nets earlier this month, in peak nesting season, was done to ‘protect birds’ during nesting season from work set to begin at the former Homebase site. Concerns have been raised that the birds will get caught in the mesh and die, and the move has been branded unacceptable by many. The practise is legal and the Royal Society for the Protection of Birds (RSPB) urges developers do work outside of breeding season so netting is never needed. Otherwise, regular checks for birds and other animals should be carried out, it adds. 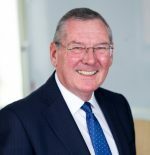 Councillor Andy Hodgson (Green, Shirley South) said: “Conservation groups like RSPB warn that the risk is that birds can often find ways through the netting and become trapped. “We are seeking assurances from Sears Retail Park that this work has been carried out properly and is being monitored daily. “It is thought the intention is to remove these trees as part of a redevelopment of the vacant Homebase site. An RSPB spokesperson said: “This is just another example of us trying to squeeze nature into smaller and smaller spaces. “We would ask that developers do this tree and hedge removal work outside the breeding season so that netting is never needed. “However, it is legal, so if absolutely necessary, it’s crucial that it be done properly to minimise the risks to wildlife. Sears said the redevelopment of the former Homebase unit is part of multi-million-pound investment, which is expected to create in excess of 100 jobs for the local community and the area will be re-landscaped, with the removal of any trees will be kept to a minimum. 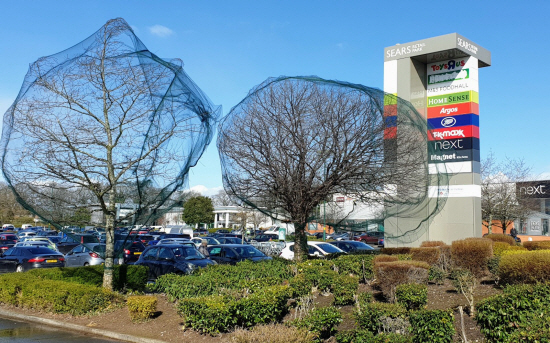 A spokesperson for Solihull Retail Park said: “We are highly conscious and considerate of all local wildlife and will remove the netting as soon as it is safe to do so. “Until the nets are removed we are ensuring they are checked on a regular basis. “The nets placed on the trees are there as a precaution and to ensure birds are protected during the nesting season from the demolition, construction and redevelopment work about to begin at the site of the former Homebase unit. 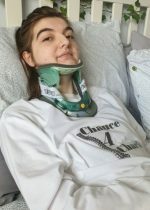 “The nets are standard practice and have the approval of Solihull Council, with whom we’re in ongoing discussions to try and get the redevelopment project underway as soon as possible.